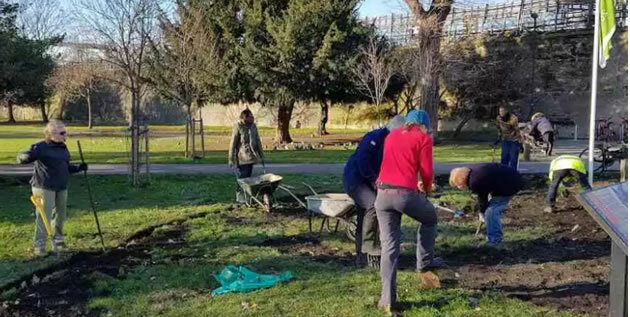 Volunteers gathered recently to help dig beds to plant out in spring as part of the Chiswick Piazza project. 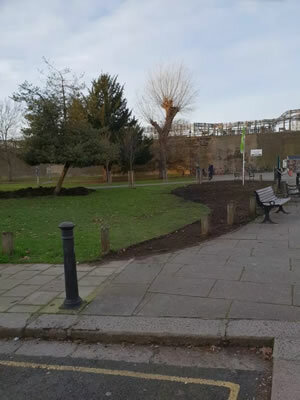 Abundance London and the Friends of Chiswick Back Common are revitalising the little open area on Turnham Green Terrace – next to the Timeline. Abundance have replaced the bike rack and chosen some improved seating for the area. 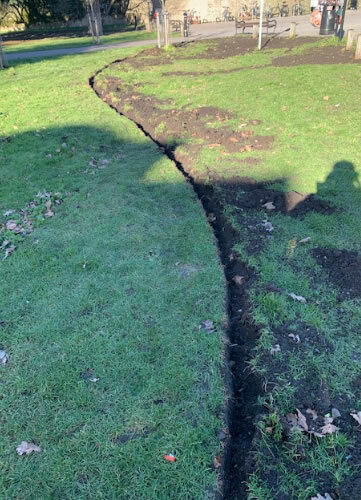 The cost of this project will be met by both S106 funding from the London Borough of Hounslow and by additional fundraising. Should there be any surplus funds, these will also be used to improve Chiswick. Abundance is completely volunteer-run. 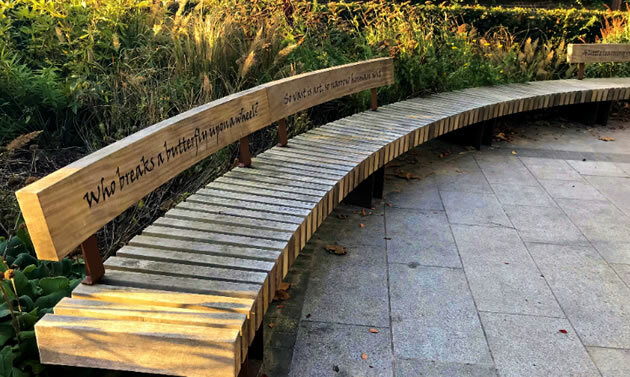 The team have now selected new benches which will be installed in the near future. The bike racks are going to Chiswick School. 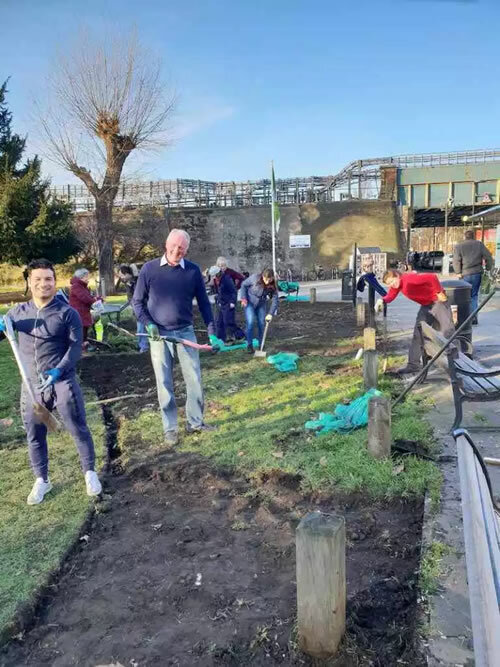 Volunteers have helped to pot up hundreds of plants and bulbs which will be planted out shortly. All donations and offers of volunteering are welcome.